Are you managing a chess club? Have you thought of using a system to rate the performance of the players? I list a few solutions for chess clubs looking for chess rating software. As Wikipedia says, a chess rating system is “a system used in chess to calculate an estimate of the strength of the player, based on his or her performance versus other players”. The Wikipedia page on the chess rating systems lists the most common rating systems in use to calculate the strength of a player. Chess federations around the world use different rating systems and there are pros and cons for each of them. Popular online chess platforms like chess.com and Internet Chess Club also often adopt their own internal rating systems. The calculation mechanisms, the algorithms and the variables used to calculate the rating of a player differ from system to system but there are similarities. In most of the systems a higher number indicates a stronger player. In general, players’ ratings go up if they perform better than expected and down if they perform worse than expected. Calculations can be applied after a single match or after a tournament. In calculating the change, the rating systems usually take into considerations factors such as the rating difference between the opponents, the number of rated matches previously played by each player and so on. Most of the systems are used to recalculate ratings after a tournament or match but some are used to recalculate ratings after individual games. The two most commonly adopted chess rating systems are the Elo system and the Glicko system. The Elo system has been used since the 1960s and it’s currently adopted by the FIDE (Fédération Internationale des Échecs – or World Chess Federation) and by federations such as the USCF (United States Chess Federation) (with some changes to the original system). The Glicko system is used by other federations such as the ACF (Australian Chess Federation) and platforms like chess.com. You can find here a quick read on the difference between the Elo and the Glicko systems. Here is another interesting article on how the ratings on the two systems correspond. Regardless of the technicalities and the substantial differences between the various chess rating systems used in the world, what you probably need for your club is just a software which easily enough allows you to rate the club players following their performance in internal matches. This rating should be fair and take into consideration the basic variables we highlighted above. In particular, a good rating system for your club should take into account the rating difference between the opponents and the number of rated matches previously played by each player (which impacts on the reliability of the rating – the rating of a player who has played 3 rated matches only is not as reliable as the one of a player who has played 1,000 rated matches). The best solution is to use one of the chess rating programs listed below. Alternatively, if you are managing a small club with very limited activity, you could setup a manual process to calculate the rating: assign new players ratings, manually calculate ratings after matches or tournaments, and save the data to the appropriate database file (excel or whatever else you are using). You could even use tournament/pairing programs such as Swiss Master or Swiss Manager to calculate a post-event rating, or chess rating online calculators like this Chess Elo Rating Calculator. This is a lot of manual work though, and it could be very hard if your club is pretty active. Thatìs why I would recommend use the programs below to make this process easier. You will find below a list of possible chess rating programs which can help you calculate the rating of the players of your club and automate as much possible. Chess Ranking Assistant is my favourite solution. It’s a great free Excel add-in – which means you add it to Excel and then you simply work in Excel. To add it to Excel, simply run the installer which you download from the page of Chess Ranking Assistant. You will need at least Excel 2007 to make it work. This add-in generates an excel file which will contain all you need for your club rating system and which you can edit as a normal excel file. The rating system of Chess Ranking Assistant is based on the Glicko rating system. You can add players and edit a players’ list, easily add matches and results, automatically generate ratings and update them, check the updated list of players by rating or other sorting criteria, get detailed stats and history for each player, and even search for specific players or matches played by specific players. Chess Ranking Assistant also allows you to create single sheets for each of the players in your club, split junior and senior players and create a junior’s ladder. It also generates a few extra tabs in the file, including an attendance sheet, ranking by matches played etc. A great feature is the possibility to copy and paste into your rating file data from other excel files or from tournaments programs like Swiss Master (you will need to export to Excel from this program and then copy to your rating file). What I also appreciate is the possibility to easily export to pdf or to web as .htm, which is a must if you have a club website and want to keep your members up to date with their rating and the club ranking. Chess Ranking Assistant is a very useful and versatile tool which I definitely recommend. Check it live on my chess club live rating page. Chess Ladder, created by Fred Mellender, can be used to manage a chess ladder for a chess club. It’s part of a free kit of programs useful to run a chess club, which includes a tournament manager club too. The program calculates a rating for each player using a version of the Elo rating system that is very similar to the one used by USCF. I tried this program and it’s actually very easy to use. I still prefer Chess Ranking Assistant though, which offers extra features including the possibility to copy and paste lists of players and results from Excel files (Chess Ladder requires you to input both players and match results one by one – if you have to input dozens of results every week this might a very tedious job). Chess Ranking Assistant also offers the possibility to export to a .htm file I can use on the club website, while I couldn’t find this feature in Chess Ladder. A nice feature of this program is that players can easily enter the result of the game by themselves, which might save time to the controller/manager/rating officer of the club. Find here the documentation for Chess Ladder. It works in Windows only and you will need Microsoft’s .NET Framework to make it work. Rankade is a premium web-browser based platform, also available as Google and Apple app, which can be used to rate players in several games and sports, including chess. Rankade uses a rating system which calculates the “ree score” of a player via a proprietary ranking algorithm which can be used in a variety of contexts (for example, multiplayers’ games). See here the comparison between Elo, Glicko and Ree. The free version allows to add up to 20 players, while the premium version offers unlimited players for a limited cost of EUR 12,00 per year. The interface is nice and pretty intuitive and allows you to add players, add matches and results, check the ranking online, see graphs with stats on the players, and more. You can also export the stats to other formats (option available to premium members only). If you are interested, you can also add the emails of the players and so they can receive notifications and updates, and interact via in-app messages. The only negative note is that I couldn’t find a way to import players or matches from other files or programs (while Chess Ranking Assistant, working in Excel, easily allows to import excel data from tournament programs – and this saves me a lot of time in managing my club). Elo Rater is an old free chess rating program whose rating system is based on Elo/USCF, or on Harkness (which was the rating system used by FIDE before they switched to Elo). You can choose which one to show for the players and easily switch from Elo to Harkness or viceversa. Elo Rater was developed in 1991 and it hasn’t been updated in the last (many) years but it still runs on my computer. It allows you to easily create list of players, add matches and results, and calculate the new rating of the players. Unfortunately, you cannot print or export from this program it to other formats, so this limits a lot the potential usefulness of this program. Chess Club Manager by Think Like a King: this is a premium suite which includes a comprehensive set of chess club ranking, chess club management and chess learning software solutions for clubs, coaches, and students. The price is multi-leveled and depends on the packages you add and on the number of members of the club which will use the software. The cheapest offer for clubs with a tight budget starts at $200 per year. 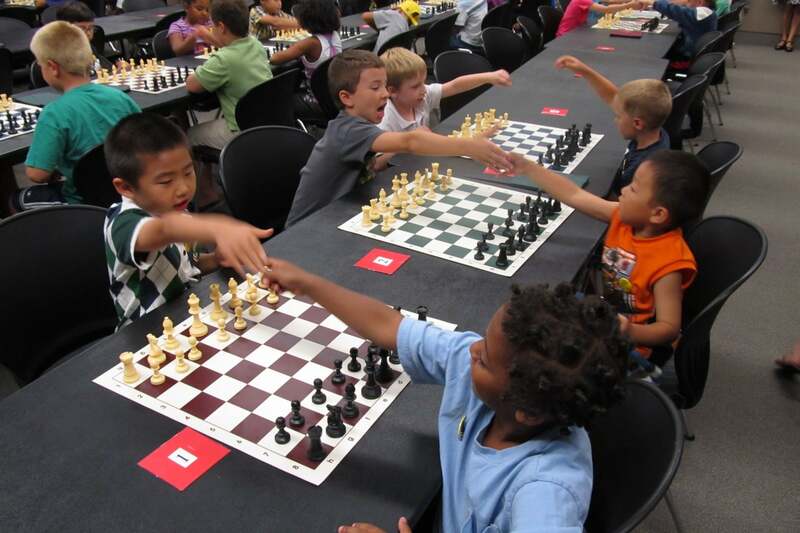 My opinion is that it seems a bit over the top for a school club while could be useful in chess clubs with a dedicated yearly budget. Chess Rating Management System: this free sofware, which runs on My SQL, is designed to help different chess clubs to set up their own rating system. It uses USCF approximation formulas for rating calculations. If you use other chess rating software in your club and would like it to list it here, just let me know in the comments or get in touch with me!